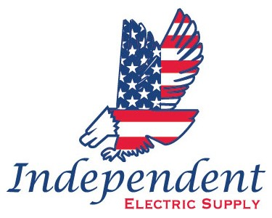 Contractors use Independent Electric Supply's wire and cable management services to save time, increase productivity, reduce waste and make the job more profitable. Because each job is different, we customize a solution to fit the project, enabling our customers to have the material available to them: When, Where and How they need them. IES Buy services like cutting and paralleling, steel reels and stands that can be easily moved on job sites, and pre-installed pulling eyes can provide your company with significant savings and make installations safer, easier and more efficient. Material shortages, damaged wire, need for expedited shipments, and material lost or stolen on the job. We will provide the exact cut lengths, project tracking, and just-in-time deliveries to save time and money on your project. Costly job delays and material lost on job-site. Last minute design and engineering changes.